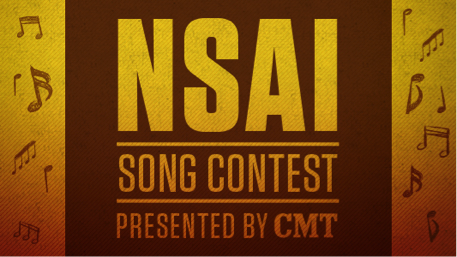 The Nashville Songwriters Association International (NSAI) and CMT have honored the song “Plain White Tee,” written by Matt Casey, Keith Dozier and David Wagner, with the Grand Prize in the 2013 NSAI Song Contest Presented by CMT. The song was one of a total of 2,000 entries. Casey, Dozier and Wagner will receive mentoring sessions with singer/songwriter/actor Paul Williams and songwriter Brett James. Other prizes include meetings with major Nashville music publishers as well as a year of national and regional media exposure, tickets to the 2014 CMT Music Awards, an Apple iPad, and more. The CMT Listeners’ Choice Award in this year’s contest went to “Like He Did For Her” composed by Rachel Hutcheson and Nick Foxer. Fans cast more than 274,450 online ballots at CMT.com, and 33 percent chose “Like He Did For Her” over the other nine finalists. This year’s Lyric Only Winner is “Whiskey Misery,” written by Pamela Talley-Parker. Pamela earned a mentoring session with NSAI’s “Songwriter of the Decade” (1990-1999), Tom Shapiro, as well as additional prizes. Additionally, Dozier, Hutcheson and Foxer will perform during this year’s Tin Pan South, slated for March 25-29.